Problem A4: You just bought a ballon that is massless. You fill the ballon with a gas that has a density of ρ = ρair/n1. That is, the density of the gas in the balloon is 1/n1 that of air. You fill the balloon up to a volume of V=n2V0. 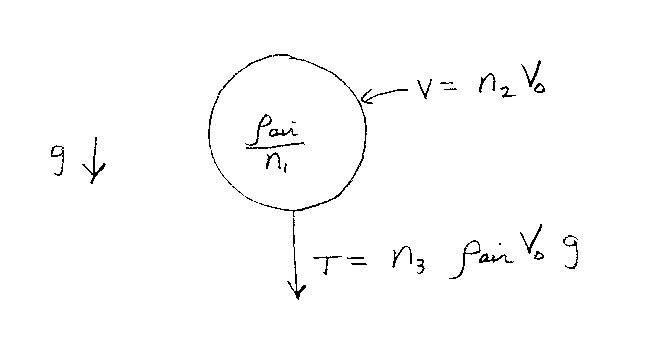 If the tension T in the cord that keeps the balloon from flying away is T = n3ρairV0g, then what is n3? Note that n1, n2, and n3 are unitless.